my permanent “den knife” which sits near the computer. Also… gifted to me this year was the bizarre and yet lovable Poliwog. 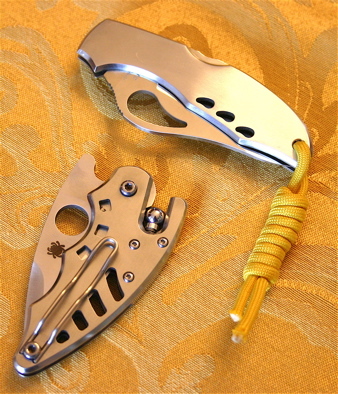 Lefty friendly and with that mini-native style blade and swedge, the ball bearing lock seems much more refined than my old Dodo. 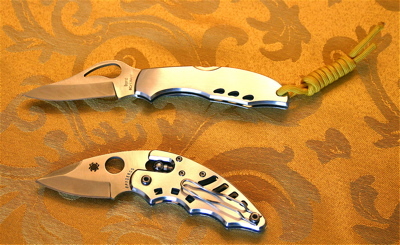 Good heft and very sturdy in the hand for such a small blade. In all… another mighty mini from Eric! 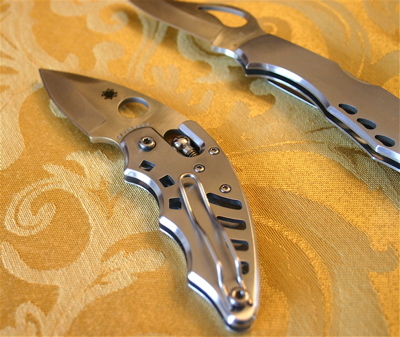 Tomorrow is a big day for the Spyder-arsenal. Much cutting of plastic and tape, ribbons and boxes. This may be one of the heaviest use days of the year! Yes it may be more expensive than the iPod itself, but think of it thusly: way cheaper than a factory installed six disc changer! This is quite possibly a life-changing device like a Tivo or fire. I listen to innumerable podcasts on my commute and have a fairly eclectic music collection. The fact that it also charges the ‘pod is sauce for the goose. 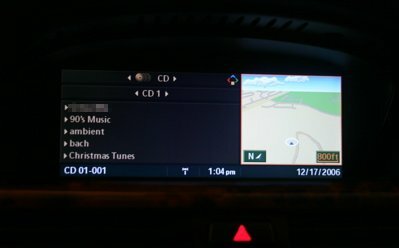 The iDrive lets me view by playlist, artist, album, genre, podcast (excellent! ), or all tracks. 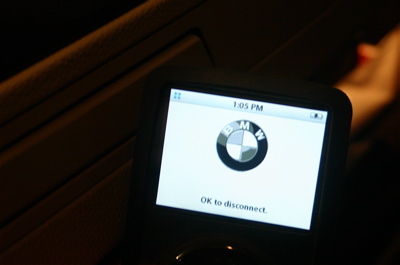 The voice command navigation is outstanding. Christmas may be less filled with childlike-anticipation as I get older, but the gifts are as cool as ever. 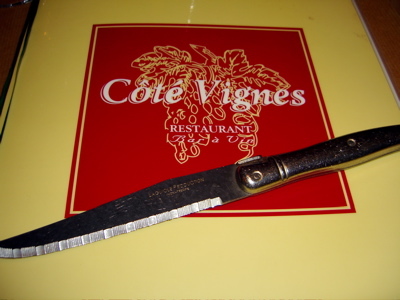 Highly recommended in Paris, the Côté Vignes restaurant. Good portions, homestyle cooking, not too expensive, great wine selection, and real old school Laguiole cutlery. This is not a froufrou place. I visited this one a while ago but forgot to post, sorry about the crummy flash.